In Jedox, there are actions that have to be executed repeatedly and/or regularly, such as specific Integrator jobs for loading data. In the Scheduler component of Jedox, you can start and stop tasks, edit and delete them, depending on your user rights. You can create new PDF batch jobs in the Reports component and organize new Integrator jobs in the Integrator component. For tasks, you can also define a user context in which the task is generated. You can also select multiple tasks at once and execute or delete them. Note: You cannot execute a batch PDF task for reports that use OLAP connections to external OLAP instances where the “Use Login credentials” option is set. 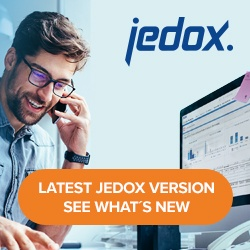 Increase the value of the entry on the right and then restart Jedox Suite TomcatService. The following chapters offer examples of how to use this feature.